Triple Joy Brownies I saw this name here at Love 2cookand opened it. For Love2cook has beautiful recipes and stunning pictures. Needles to say I was drooling. I decided to make them immediately as both my kids were out to play Holi and I did not have help!! Most importantly I had all the ingredients at hand. 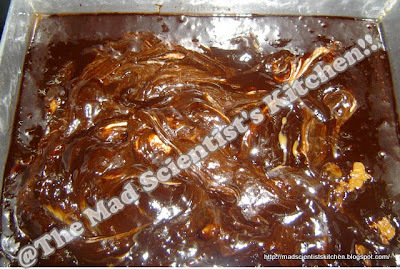 I made modifications, of course I have a name to live up to as Mad Scientist and someone who will never follow a recipe (unless it suits her) and then I am on tenterhooks hoping nothing goes wrong, but jokes apart the only thing I reduced was sugar and cream cheese. 1. In a double boiler melt the chocolate and sugar when it becomes a bit gooey add the butter. heat till the butter melts. 2. Remove from heat and whisk the eggs. 3. 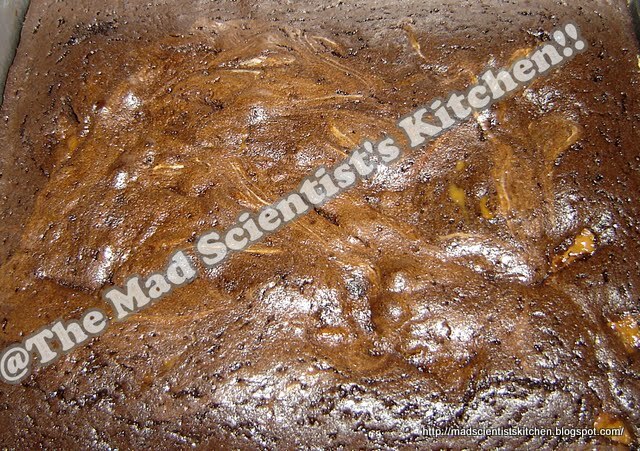 Mix the cocoa and flour mixture and pour in a rectangular greased tin. 4. In the original recipe the caster sugar and the cream cheese were mixed and beaten but since I did not I randomly added the cheese and dulce and spread it around. The dulce had its own mind though and did not spread as well. (Warm the dulce next time). 5. Bake at 180°C for 25minutes. (auto bake runs for 35 minutes). 6. Cool on the wire rack. Me too hardly follow any recipe 100% unless the recipe is completely new to me. Seriously i want to have some brownies rite now, yummm! Very tempting and delicious !! Brownies look so soft and mouthwatering. Awesome Pics. Very colorful and yummy looking brownies!!! Wud Love to try them!! 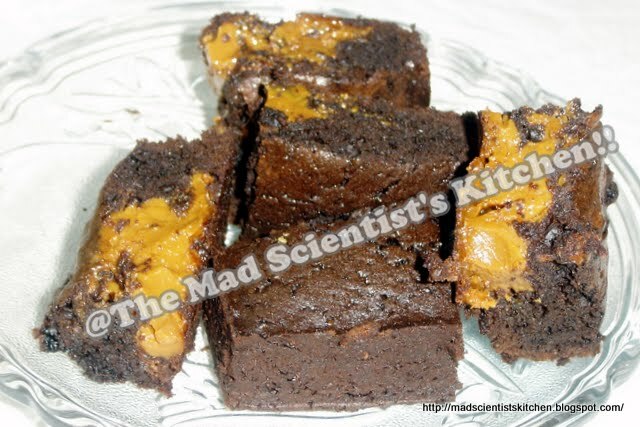 Very inviting and delicious brownies !!! That has come out so perfect, delicious! Beautiful brownies.U r making me to drool. tempting warm brownies.. love it with some vanilla icecream..
oh never heard of this one. looks yummy! These look so rich…and utterly addicting! Chocolate plus dulce de leche is a heavenly combo! Please pick up an award from Awards and recognition page of my blog. 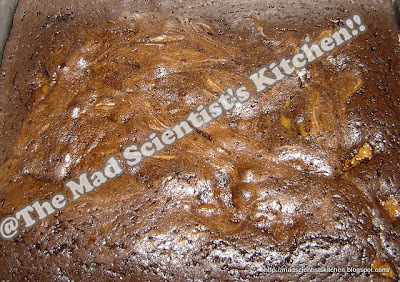 yummy, chocolately brownies!!! have some awards for you in my space!!! pls collect them!!! Sounds really good, I too loved this in her blog! yumm! First time here.. Lovely blog with awesome clicks.. Thanks for sharing.. Keep rocking !! 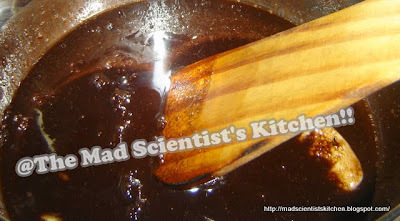 I came to know your blog from Smitha's spicy flavors, You have a awesome collection of recipes. These brownies look mouth watering 🙂 I am following you blog now.